Deluxe Edition by the original publishers. Includes new and rare artwork and photos, many never printed before or since! Above: Ray Harryhausen signs copies of FXRH #4 in 1974 as part of a promotion by Columbia Pictures for Ray's then-new film The Golden Voyage of Sinbad. 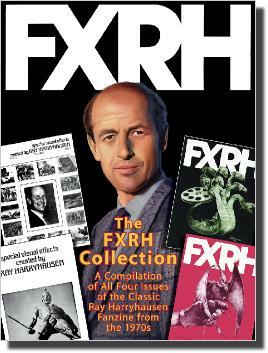 Click HERE for a list of bookstores and dealers who have stocked The FXRH Collection.